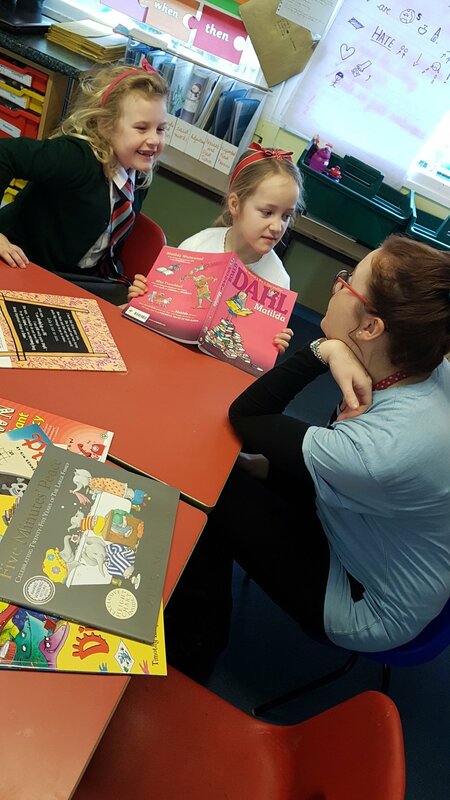 On the week beginning Monday 26th February 2018, all the children and staff at St. Michael’s Primary School enjoyed celebrating books and reading through a whole week of book related activities. The children completed a wide range of fun and educational activities focused on the picture book ‘A Child of Books’ by Oliver Jeffers. To develop a LOVE of reading is something that we value highly at St Michael’s as the benefits are far reaching to children both academically and personally. The success of our first book week, where the children were immersed in reading activities, has gone a long way towards developing a positive reading culture in our school. The children loved taking part in a wide range of activities focused on ‘A Child of Book’, from art to drama, geography to science, storytelling to composing music. Each task enabled the children to deepen their understanding of the text and express their thoughts, feelings and imaginations. The children were also challenge to complete a piece of writing based on the book. The best writers from each year group were invited to a ‘Writer’s Tea Party’ where they got to discuss their writing over cakes and squash. “I was very pleased to win the writing competition and enjoyed taking part in the Writer’s Tea party.” George, Class 4. All in all, the children had an amazing week developing a LOVE for books and reading!